On June 21st – 22nd 2016, in Skopje, the workshop “Introduction to the Current Development Cooperation Agenda” was organized in the framework of the project “Western Balkan CSOs for Global Development”. The two-day workshop brought together CSO representatives from the WB region, including IDM’s National Coordinator of the project, Aleka Papa, and other Albanian representatives from REC Albania, ACER and CSDC Durres. 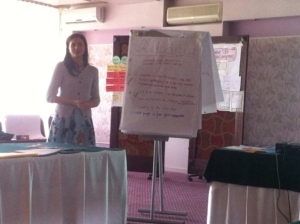 The workshop allowed participants to get acquainted more closely to Development Cooperation and Sustainable Development Goals (SDGs) and the possibility for CSOs across the region to get involved in the Agenda for Sustainable Development. Development policy in the accession countries and the EC funding mechanisms for Development Cooperation were also discussed. In the area of humanitarian aid and development policy, future Member States need to comply with EU legislation and international commitments and ensure the capacity to participate in the EU’s development and humanitarian policies. Candidate countries are required to progressively align its policies towards third countries and its positions within international organizations with the policies and positions adopted by the Union and its Member States. 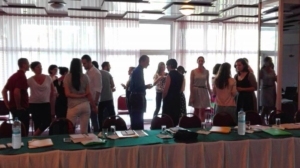 Project partners including BCSDN (regional coordinator), Civic Initiatives (Serbia), MCIC (Macedonia), CRNVO (Montenegro) and other CSOs from Serbia, Kosovo and Montenegro attended the workshop. 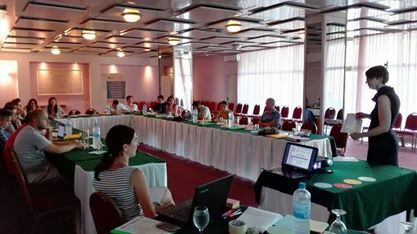 The partners from EU countries involved in the project also attended: SLOGA from Slovenia, COROSOL from Croatia and Horizont 3000 from Austria. This project will interconnect NGOs in the Western Balkans with organizations in the EU13, which recently went through similar processes and prepare them for the implementation of development projects, educational activities and will build the first mechanisms for advocacy activities with local governments and the EU. Its objectives are to strengthen Western Balkans’ civil society and its involvement in efforts towards global poverty eradication and global justice, and to mobilize and support CSOs to work together to raise public awareness in EU candidate countries of the need for education and engagement in the international development agenda.